1. For the Crust. Adjust an oven rack to the middle position and heat the oven to 350 degrees.Line a 13 by 9 inch baking pan with foil, allowing the excess foil to hang over the pan edges. Coat the foil lightly with vegetable oil spray. 3. For the Topping. combine the coconut and cream of coconut in a bowl. In another bowl, whisk the eggs, sugar, flour, baking powder, vanilla, and salt until smooth. Stir in the pecans, then spread the filling over the cooled crust. 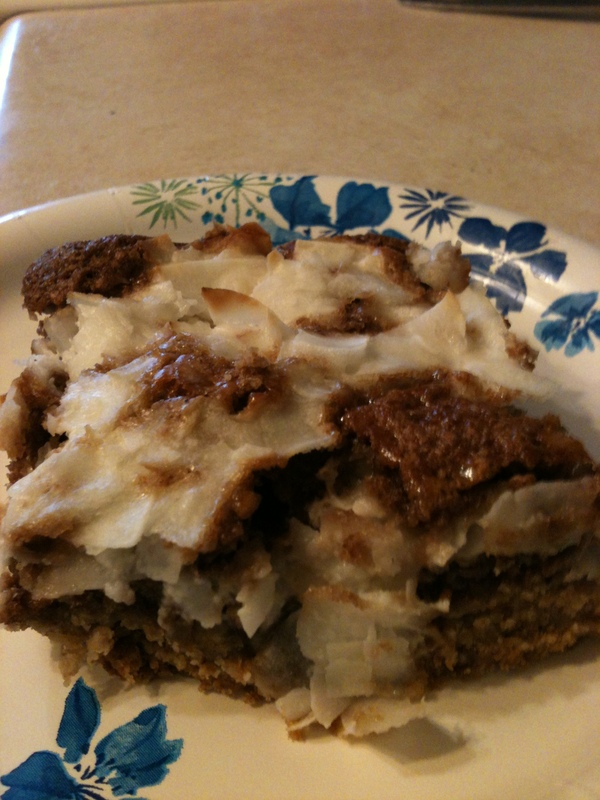 Dollop heaping tablespoons of the coconut mixture over the filling, then spread into an even layer.